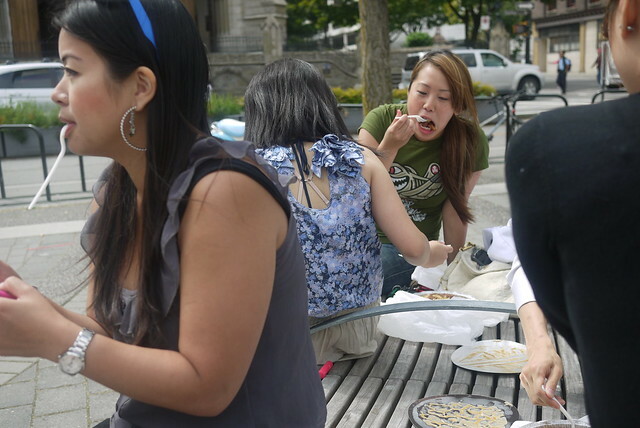 Poutine and smoked meat for lunch at Frenchies Diner on Dunsmuir Street on August 10, 2011. 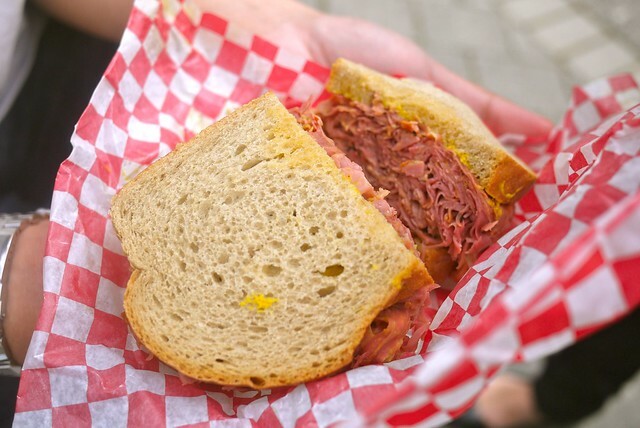 Our little Gastown lunch dining crew decided to hit up Frenchies for some poutine and smoked meat from the authentic French-Canadian style diner. 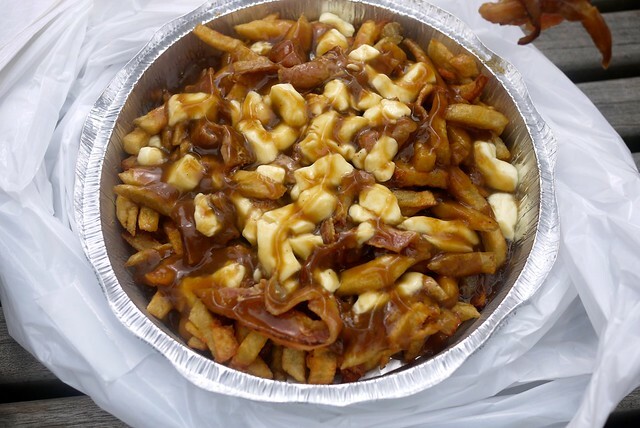 We were prompted to the joint from this Georgia Straight article and it gave us some serious hunger pangs with a dozen different kinds of poutine. The diner itself is pretty small and compact. 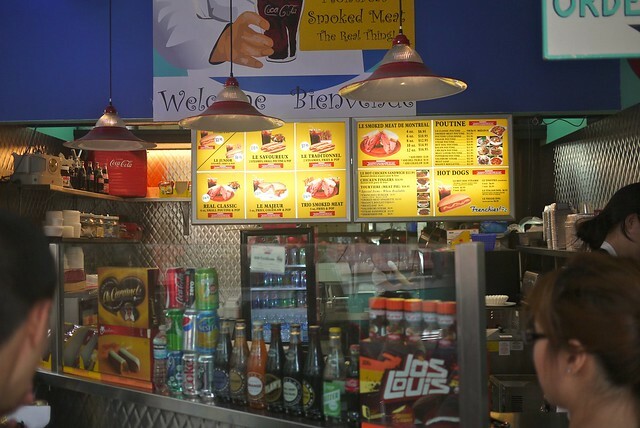 It has a quirky, fun vibe to the place. 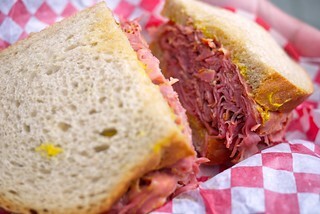 Dennis said the smoked meat sandwich was good, but not quite up to par with Kaplan's. 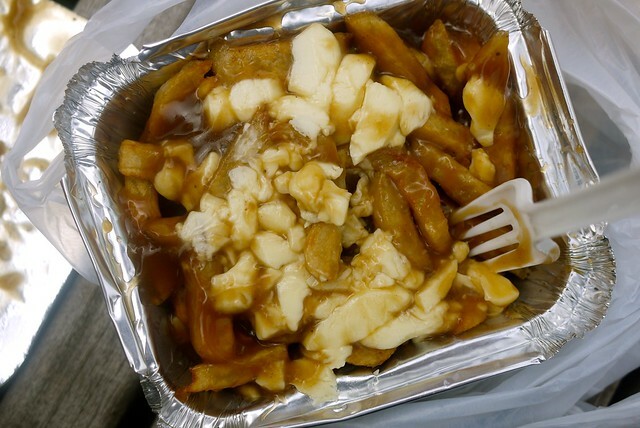 I simply had the small, "classic" poutine anticipating a massive meat and gravy overload. The "medium" portion size (there's no "large" by the way") was ridiculously massive. 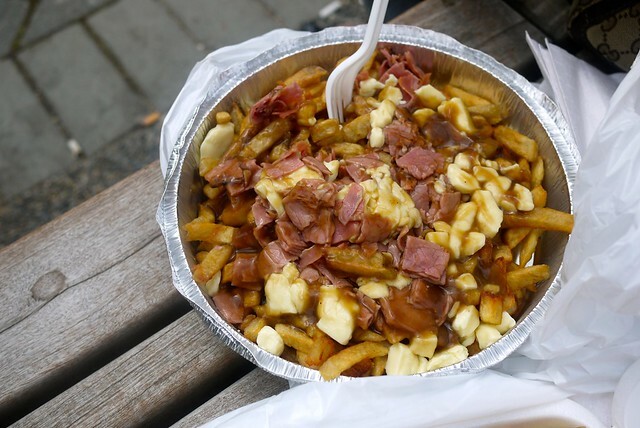 The smoked meat poutine was a popular choice with the titular meat spread throughout a massive poutine spread. I was not entirely on board with the combination, but it was still pretty tasty. The meat pie didn't do it for me. It tasted like generic ground beef in a pie. 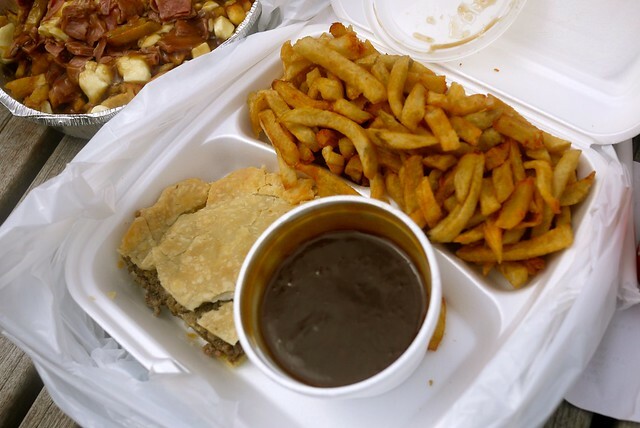 The side gravy with fries tasted different than the gravy used in the poutine. 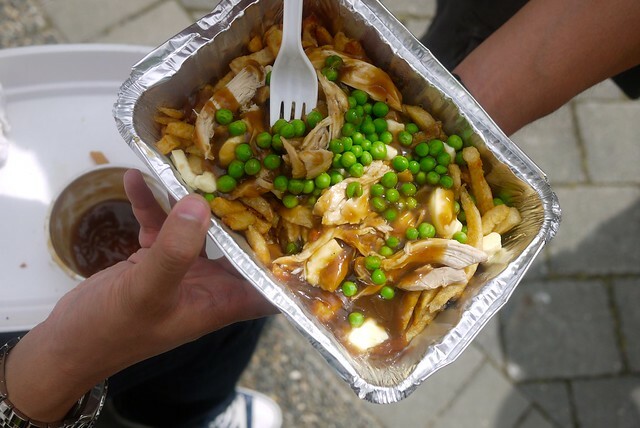 The chicken poutine felt a little strange, but it was still pretty good. I thought the peas were a little random though. 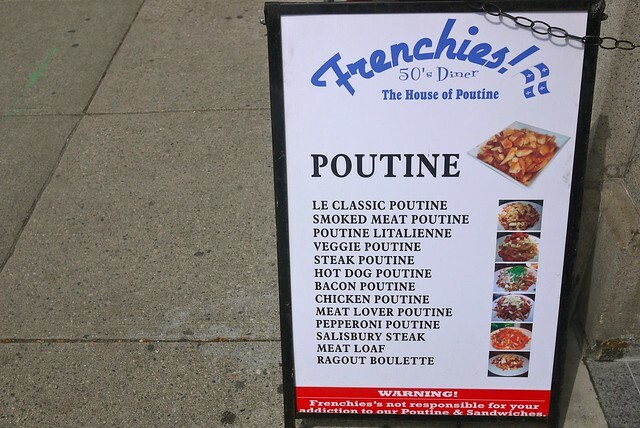 I'd definitely come back to try all the different styles of poutine and there meaty sandwiches.